I am SO excited to share a guest post today written by my long-time friend, Dana Gelsomino, RN. She’s been a force for good in my life for over a decade, and I can’t say enough about her medical knowledge and personal wisdom. I’m thrilled to see a conventionally trained nurse ready to profess the wonders of coconut oil in her new book, Coconut Oil Made Easy: Answers to the 102 Most Frequently Asked Questions. Check it out on Amazon — TOTALLY FREE through May 17th at midnight. Take it away, Nurse Dana! For years I suffered with severe, chronic depression — to the point that I was hospitalized for it twice. I was also diagnosed with Polycystic Ovarian Syndrome (PCOS), which means my hormones had gone rogue, and I was prone to acne flare-ups, irritability, weight gain, and painful periods. You can also add chronic back and neck pain to my list of complaints. Like most people with chronic pain and health challenges, feeling sub-optimal had become my new normal. Don’t get me wrong; it’s not that I didn’t try to feel better—believe me, I tried everything. Over the years I have been on Accutane, a handful of different anti-depressants, prescription pain killers and muscle relaxers. I’ve gone to chiropractors, massage therapists, doctors (was even physically carried into urgent care once for debilitating pain), physical therapists, herbalists, nutritionists, live blood cell analysts, Reiki practitioners, acupuncturists … You name it, odds are I tried it. I first tried coconut oil at the behest of a good friend from Columbia. He said that he mixed some into his coffee every morning, and it really helped increase his energy. In no way was I expecting an effect on any of the health challenges I just mentioned. The idea of oily coffee both disgusted and intrigued me — I had to try it for myself. After adding that first teaspoon of coconut oil to my coffee, the physical signs and symptoms of every one of my health challenges began to reverse, and now they are completely gone. I have no more chronic pain in my back or neck, no more severe PMS, no more depression and no more low energy. I don’t even take an Advil for cramps, because I don’t have cramps! If I hadn’t experienced this first hand, I wouldn’t believe it. I began researching coconut oil and learned that my experiences are not unique! Thousands of people swear by the healing properties of coconut oil and have so many amazing stories to tell. Fascinated by what I was reading, I decided to commit to using coconut oil for thirty days and recording what happened. Over those thirty days I learned more about coconut oil than I ever knew existed on the topic! I cooked with it, I used it on my body and face, I drank it in my coffee, and I replaced a few beauty products with it. I also began telling anyone who listen about my experience and found myself answering the same questions over and over again. And thus a book was born! Here’s a sneak peak of some of the information you’ll find in my new book, Coconut Oil Made Easy: Answers to the 102 Most Frequently Asked Questions. I hope you enjoy exploring this amazing, healing food as much as I have — it just might change your life. Coconut oil is packed with over nine “powerhouse components” including perhaps the most important one, lauric (aka monolauric acid). This acid is anti- “bad” bacterial (fights off “bad” bacteria, while leaving beneficial bacteria alone), anticarcinogenic, antifungal, anti-inflammatory, anti-microbial/infection fighting, antioxidant, antiparasitic, anti-protozoa, antiretroviral, and antiviral. Using coconut oil is an easy substitute for lots of chemical-laden products in our health and beauty routine. You can replace tens, if not hundreds or products with a jar of $12 organic extra virgin coconut oil. There is no complicated labeling to decipher and no added ingredients—it’s just coconut oil. I’ve successfully rid my cabinet of eye make up remover, shaving cream, face and body moisturizers; all have been replaced with one jar of coconut oil. Prescription and over the counter drugs often come with potential side effects. Some of these side effects are long-lasting, permanent, and can even be fatal! I’ve replaced my dog’s arthritis medication with coconut oil, and you won’t believe the spring in his step! The vast majority of people aren’t allergic to coconut oil, and those who are often find that any reaction they may have disappears with discontinued use. You can either spend hundreds of dollars on multiple products, or you can use a $12 jar of organic, extra-virgin coconut oil. The small list I named above are great examples from my own bathroom cabinet. By using one jar of coconut oil in place of so many other products, you are consuming less in general, which means less manufacturing, storing, packaging and shipping. Not to mention there is no toxic run off into the water table when you use coconut oil! Our skin is our largest organ. Everything we slather on our bodies is absorbed to some degree. Most people find this fact interesting, but don’t take it as seriously as they should when it comes to choosing body care products. Lots of different medications come in a transdermal form — nicotine, birth control and pain patches as well as burn gels and creams, to name a few. Transdermal medications are just as effective as the oral medications or herbs that we swallow. Coconut oil can replace your chemical-laden moisturizers for your face and body. Good rule of thumb: if you wouldn’t eat it, you shouldn’t put it on your skin. I live in a small house where storage space is a luxury. Using one product instead of tens or hundreds, is an easy way to begin simplifying your life. Most people love the smell of coconuts — it’s like summertime in a jar! I love to throw it in a pan for stir fry and fill the house with the smell of the tropics. I encourage you to try using coconut oil as your main cooking oil for one week. 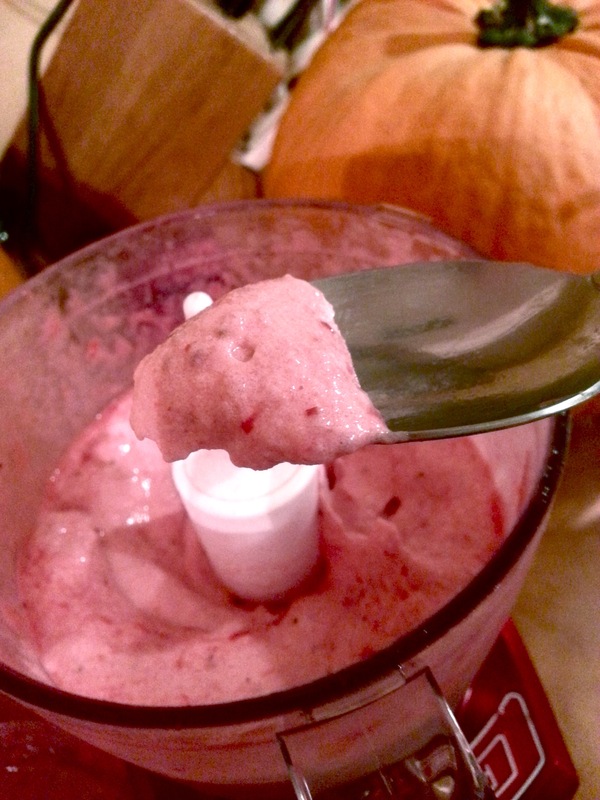 The flavor is a lot milder than most people expect — I was a skeptic at first myself! Some delicious dishes to cook with coconut oil are fried plantains and sweet potato fries. Just pour a tbsp of coconut oil in a frying pan, chop up the plantains or sweet potatoes, let brown and serve! YUM! Dana Gelsomino is a Registered Nurse practicing and writing in Haslett, Michigan. Her miraculous experience using coconut oil to address her severe depression, low energy, hormonal issues and chronic back and neck pain has turned her from a skeptic to a coconut oil devotee. Dana recently published her first book on coconut oil, Coconut Oil Made Easy: Answers to the 102 Most Frequently Asked Questions. She has several other coconut oil related books in her writing pipeline, and is always open to any coconut oil related conversation and success stories! She is most easily reached through her Facebook group Real Coconut Oil or by email at dana@realcoconutoil.com. Toot toot toot! Do you hear that? it’s me tooting my own horn for the unapologetically sweet, rich healthy gluten-free pancakes I invented. I have kept my promise to continue experimenting with grain-free, gluten-free, dairy-free, high-protein pancakes, and today I present to you a gluten-free lemon poppy seed pancake recipe that will knock your socks off. I’m not one to gloat (well, I might be), but I impressed myself with these little goodies. The back story: Loren and I went to brunch a few weekends ago at a new little spot in Oakland, and on the menu were lemon pancakes. We saw them on the table next to us, and I was mesmerized. Of course they weren’t gluten-free, but I had to try a bite of Loren’s short stack anyway. I just couldn’t pass it up, plus I had an ulterior motive: I was determined to make my own version at home that I could enjoy in all its glory, and I needed a point of reference. They were indeed superb pancakes. Not too dense, not too mushy, not to thick, not too chewy — just right (said Goldilocks). To be perfectly honest, lemon isn’t usually my flavor of choice for sweet foods. In something like a custard or cake, I much prefer rich flavors like caramel, chocolate, or coffee and tend to shy away from fruity, and especially citrus-y, flavors. But these pancakes (and yes, I consider pancakes a sweet food, even if I’m eating them for breakfast) stuck out to me. They reminded me of the one lemon-flavored treat that I absolutely love: the lemon poppy seed muffin. After this brunch, I was determined to create the perfect grain-free lemon poppy seed pancake. Following some of the guidelines I’d found to be successful in my first grain-free pancake experiment, I went to it, first with just the lemon, then with the poppy seeds and almond extract. Both were delicious, so it’s up to you which way you go. The beauty in these flap jacks is that they’re full of fiber, protein, healthy fat, and phytonutrients from the lemon zest. And in the entire recipe there’s only 1 tbs maple syrup, so they are low in sugar too! Of course, how much syrup you add to your stack of jacks could dramatically increase the sugar load, so be careful if you’re concerned about such things — which we all should be. These can be dairy-free or you can use butter or ghee in the pan as I did, totally up to you. Adding to my list of favorite things this week is a sweet little restaurant in downtown Petaluma, CA called Wild Goat Bistro. You can get a healthy dinner (that accommodates special diets!) here for a reasonable price. It will feel home-cooked with a fine-dining flare. Nestled right near the water, this tiny restaurant feels like a cross between a European bakery/bistro and your grandmother’s kitchen. We felt right at home walking in and being seated immediately at a cozy table against an exposed stone wall. My parents were visiting for the weekend, and on our way home from a trip to the wine country, we stopped in for an early dinner. I was drawn to their “menu of honest food that uses local fresh ingredients in a variety of culinary traditions,” (quoted from the website) along with quite a few gluten-free offerings (including dessert!). Feeling indecisive and wanting to try as much as possible, my mom and I decided to share a few small plates. We started with the Nutty Goat – a delicious pistachio and fruit-encrusted ball of goat cheese, accompanied by gluten-free crostini and a black currant compote. My dad was so excited when he saw it that he dug in before I could get a clean shot off. Next we had the Beans and Greens, the Cast Iron Seafood, and the Polenta Pot Pie. I loved all three, but the polenta was especially satisfying (I didn’t get a good picture of it, but rest-assured, it was delicious). When I saw that the polenta included mozzarella cheese, I was imagining a baked polenta-crusted pizza totally covered in cheese (and the stomach ache that would have accompanied it), but my mom really wanted to try it, so we went for it anyway. I’m so glad we did! The amount of cheese was exactly right, not over the top at all; the perfect balance of polenta and vegetables, and very modest with the tomato sauce as well. I appreciated this dish a lot, because I love polenta so much and am often disappointed when the flavor is drowned out by too much sauciness. My mom raved over the Beans and Greens and couldn’t wait to get to the grocery store after dinner for ingredients to try to replicate it at home (I suppose the cooking gene runs in my Sicilian family…). The dish featured mustard greens and large white and red heirloom beans simmered in a white wine broth. The men at the table went for the meatball sub, and both gave it two thumbs up. I really hope I can get back to Petaluma before they change their menu, as we didn’t get to try the Slow Pork dish or any of their scrumptious-sounding desserts, which I’m super curious about. The service was great, we were there early enough that we didn’t have to wait for a table, and the food experience was phenomenal. I would recommend putting Wild Goat Bistro on your list of restaurants to try if you find yourself in the area. Local, home-grown, California cuisine with a touch of Italy and a nod to the gluten-free folks among us. What more could you ask for? This is my first restaurant review! On Thursday last week, I had a meeting in the Mission District of San Francisco, so I decided to bring my laptop with me and spend the afternoon working in a nice, quiet coffee shop. My meeting was at SF General Hospital, and the walk from 24th St. BART was so full of choices that I was struggling to make a decision. I stopped to look at a few menus and, realizing that I was hungry for lunch, revised my search from coffee shop to lunch spot, hoping I could find a place to eat with wi-fi. Almost immediately after making that switch this door appeared in front of me. As I approached the counter, I noticed a sign next to the register that indicated that the animals served here were pasture-raised on family farms in Texas, eating the foods they were meant to eat and getting plenty of sunlight. Score! I made the easy decision to stay for lunch (and the rest of the work day actually). Next, to decide what to eat…this was a tough call. Check out this amazing menu! I can’t wait to get back here to try the brunch. I settled on the Allspice Pork Shoulder with brown sugar maple bacon baked beans and frilly mustard greens. I was expecting cooked, southern-style greens, but what came out with the other two gems was a delicate salad of lacy baby mustards with a very light dressing. All three elements of the dish were delicious. The pork was perfectly tender but still plump, and the beans were sweet but not too sweet. Perfect! And the woman who took my order was very sweet too. I was there literally all afternoon and no one bothered me or asked me if I wanted to spend more money for staying there all that time. It was peaceful and awesome. The two parts of the menu I missed out on for this first trip to Pig and Pie were the beer and the dessert. Mid-day beer and pie just didn’t seem right with all the work I had to do, so I promised myself another visit sometime soon. Check out this drink menu. I’m especially curious about the Squid Ink India Black Ale and the Nautilus Hibiscus Saison. All the pies are home-made with the option of ice cream for an additional $2. If memory serves, the day I went, they had apple pie, a grape crisp, and pecan pie. As a Texan, I like to think I know a little something about pecan pie, so I plan on going back for that too. I assume that the pies aren’t gluten-free, although I didn’t ask, but I’m perfectly willing to scrape the filling out of a pecan pie — in fact I think I did it twice in Texas on my last visit. As an East Bay dweller, I hesitate to go to SF by myself unless I can BART, as the traffic and parking challenges tend to be more than I’m willing to deal with. This restaurant is a 5 to 10 minute walk from 24th St. BART, right on 24th St, and worth every minute of the commute. I was there at lunch, and it wasn’t busy, but with food this good, I imagine the dinner crowd is much larger. Definitely check this place out! Last updated by Toni Sicola at December 16, 2016 .